Shana and I stayed up late again, carving away the small hours with dark chocolate and stories about her childhood in Papua New Guinea versus mine in suburban Salt Lake City. We'd just met 36 hours prior, when I showed up at her doorstep in Nome with a suitcase and a forlorn homeless puppy look on my face. She graciously offered a bit of floor space to sleep while I waited for Beat to reach the end of his journey. And in typical small-town Alaska fashion, Shana opened a broad window into her life until I felt like we were old friends and I'd lived in Nome for years. I'd run the ice-coated streets at sunset, waving at drivers on four-wheelers and children playing without hats or mittens at 20 degrees. 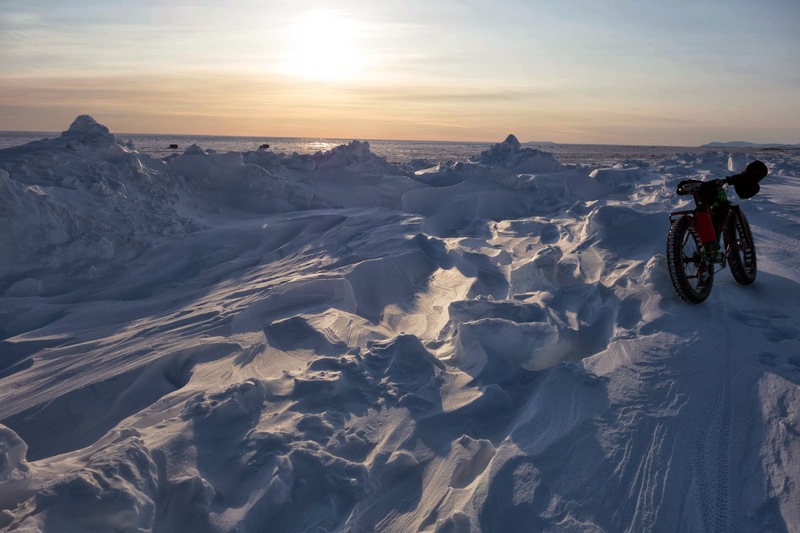 Jumbled sea ice piled up against the horizon, not so far from Russia, but even that stark and forbidding view felt familiar. This tends to be my pattern in Alaska — wherever I go, it feels like home. As we cleaned up the remaining dishes from dinner — a conglomeration of wilted, end-of-the-road vegetables that somehow transformed into a delicious curry — Beat called one last time from the trail. He was about eight miles outside of town, he told me. "But still a long ways out," he added. It was just after 1 a.m. 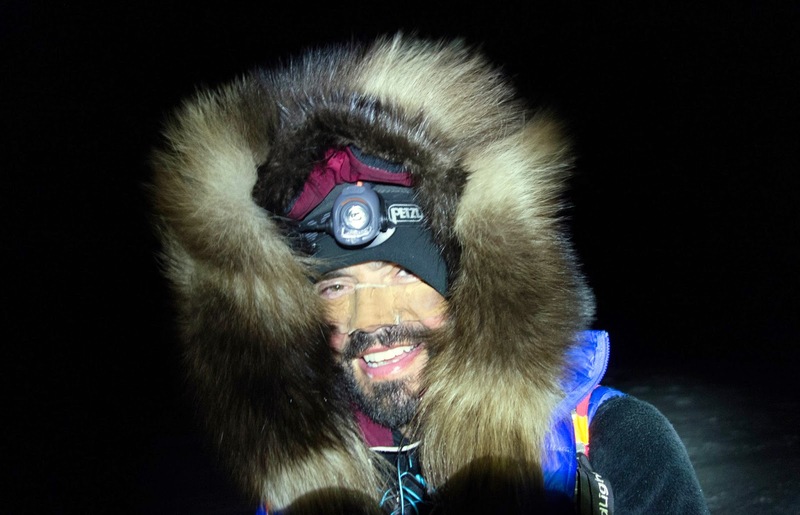 I suited up and left the warm comfort of Shana's home to greet a stiff Northeast wind, piercing the eerie silence of night in far western Alaska. Beat warned me he'd be slow on the sugary trail. I knew its condition, because I tried to ride out that way earlier in the afternoon. 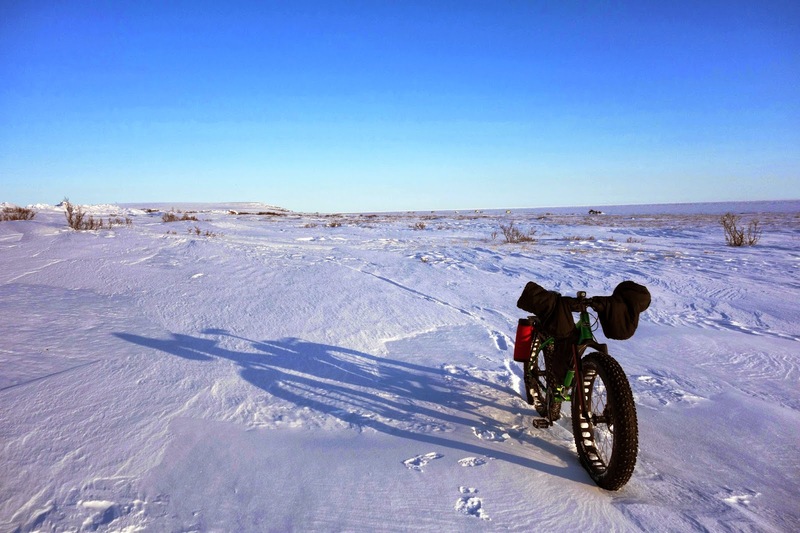 I borrowed a fat bike from Nome hospital administrator Phil Hofstetter, who recently completed the human-powered journey to his hometown, finishing the Iditarod Trail Invitational in just over 12 days. His bike was slightly worn out from the trip, with tires that couldn't be aired down without going flat. The Iditarod Trail was covered in new snow and wind drift. The soft surface had been churned up by racing snowmachines, and was only marginally rideable on a fat bike. Running parallel to the trail is a gravel road that is unmaintained and apparently not widely used by anyone in the winter. But I wondered if I'd make better progress braving the drifts and glare ice of the road rather than pushing the bike through the flat sugar trough that the Iditarod Trail had become. I might not make better time, I thought, but at least I'd have more fun. Heavy machinery had cut and piled solidified snow chunks up to four feet high, which served as a wind barrier to capture all of the drifting snow. I waded in drifts up to my thighs, then rode 100 feet of glare ice, and then waded for another quarter mile or more — and then repeated this slow pattern for more than seven miles. Why I kept at it, I'm not sure. Hours trickled by. The sun drifted low on the horizon. I was moving well under three miles per hour, and Beat was still many miles away. If I'd been able to ride, I would have covered enough distance to spot him; but at this pace, no way, not unless I waded around out here until midnight. Still, the irrational hope remained. It had been so long, and he'd come so far. At mile 13, the setting sun and the fact it was going to take another three and a half hours to get back coaxed me to turn around. On the return trip, I took advantage of low light to spot shimmering surfaces of rideable crust near the road. 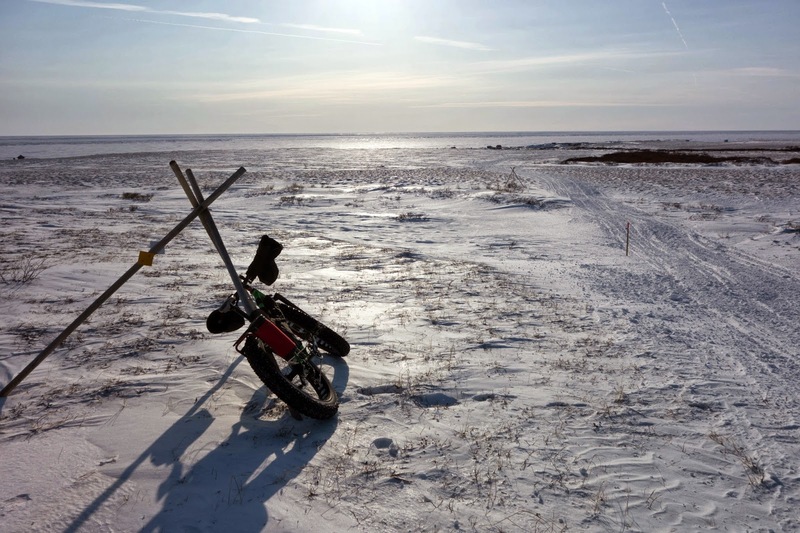 Riding cross-country over the windswept tundra was actually faster than adhering to the oppressive conditions of the road or trail — a freeing notion. With the onset of darkness, I knew I'd have to stick to the trail to see Beat. I figured I'd only outpace him by a small margin, probably 5 mph versus 3, and I'd have to ride for about an hour to spot him. My legs felt heavy and a bit stiff after "riding" six hours earlier in the day. But then again, any effort compared to a Nome effort is not much of anything; so I shrugged it off and pedaled as hard as I could, which is the minimum such trail conditions demand. Temperatures had dropped to single digits under clear skies, but the wind made it feel much colder, and I shivered as I worked up an unavoidable sweat. Just as I began to resent that I'd decided to come out here rather than snuggle up in my sleeping bag at Shana's house, I passed the final electric light at the edge of town and looked forward into unbending darkness. A sliver of moonlight framed the sharp edges of white mountains, and the northern horizon was filled with an undulating band of green light. I turned off my headlight and craned my necked sideways to stare at the Northern Lights, as slack-jawed and wonder-filled as I was the first time I watched them. The way they shimmer, the way they dance as though directed by some kind of cosmic choreographer. The bike swerved and pitched off the trail, and I didn't mind. The wind moaned but everything else was quiet, almost unnervingly so. 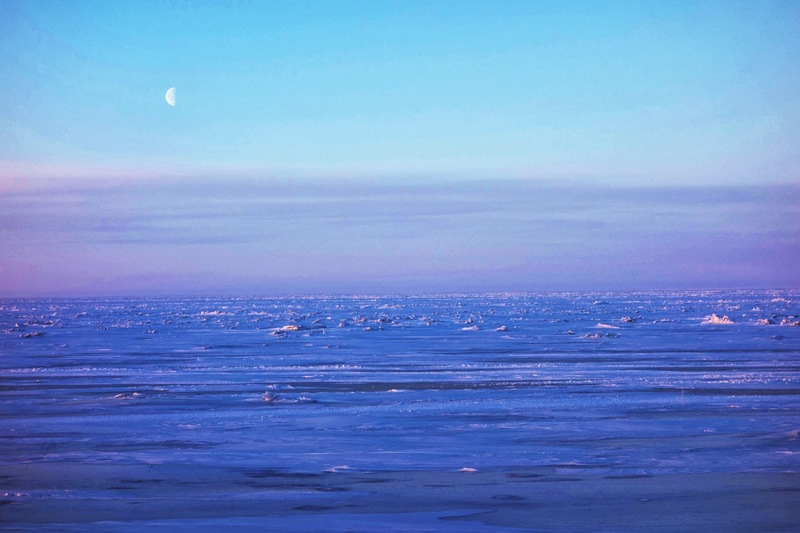 The flight from Anchorage to Nome spans hundreds of miles of pretty much nothing — no roads, very few visible lights, very few signs of any kind that modern humans could and have traversed that distance under their own power. I varied my gaze from the sky to the vast darkness in front of me and wondered at the world Beat had come to know over the past 17 days since he left me behind in McGrath. How magnificent the landscape must seem, and how tiny one must feel in comparison. Through my sustained fixation on the Northern Lights, I nearly missed the unmistakable glow of a headlamp making its way toward me. I pedaled harder until the headlamp glow framed a dark silhouette, and then my own headlamp caught the reflective tape patterns I'd come to know so well over 350 miles of trail to McGrath. They danced in their familiar way for the final seconds before Beat and I were standing next to each other. He was so focused on the task at hand that he continued facing forward and marching toward the city lights I had so recently left behind. We chatted about the kind of things you chat about on the Trail — weather, surface conditions since he left White Mountain, how long he stopped to rest, how much further he had to go. "Four miles," he announced after looking at his GPS. I knew the number already, of course, but I nodded in that vague way I use to muster eternal if misinformed optimism. "Maybe less," I agreed. After several minutes I pedaled forward to let Beat enjoy the final miles of his journey in his own head space, which is the way such miles should be savored. 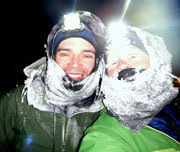 Twenty minutes went by and I could still look back on the sea ice and see his headlamp, and then my cell phone rang. "Do you see the Northern Lights? They're so amazing!" Indeed, the green band had spread across most of the sky, shimmering and dancing with renewed vigor as virgin white streaks sliced through the heart of the arch. 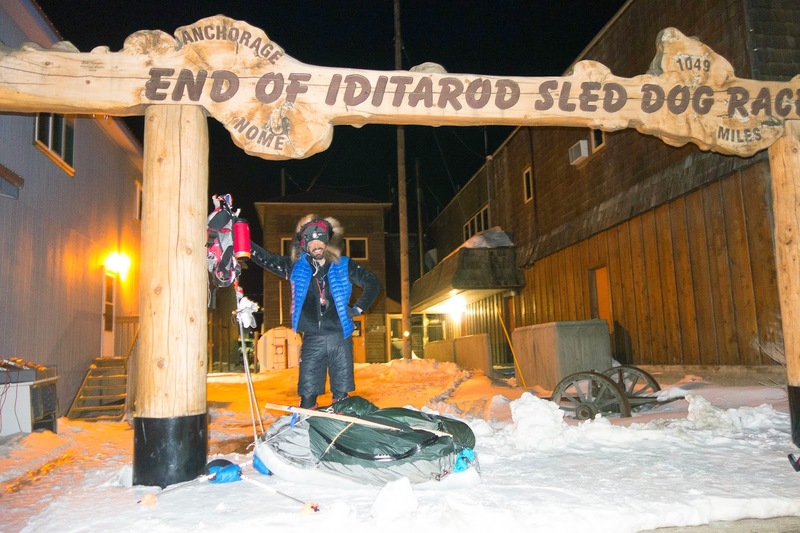 Back in town, I returned the bike to Phil and walked over to Iditarod's burled arch, which marks the official finish. Front Street was completely deserted at 3 a.m., save for a single rusted taxi that rolled up and down the empty street, probably hoping I would change my mind about loitering and request a ride. 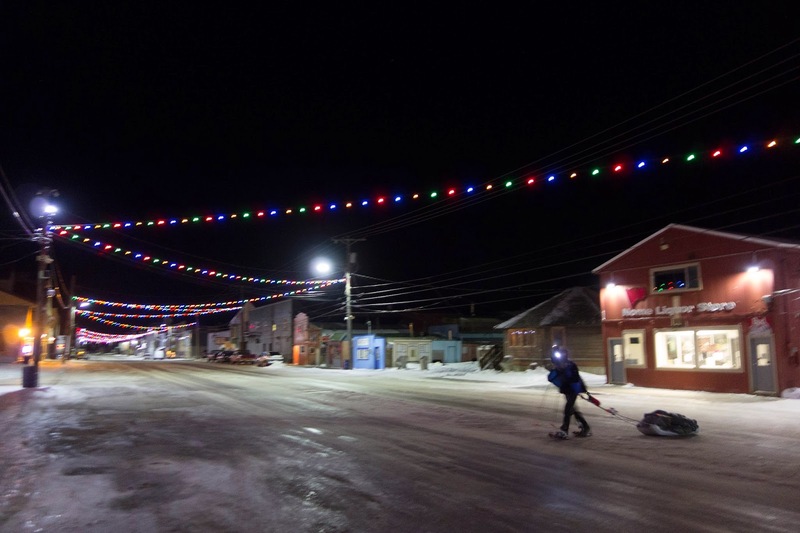 Beat waited until he passed the Nome Liquor Store to veer off the sea ice and climb the bank to Front Street, arriving in Nome at 3:52 a.m. after 25 days, 12 hours, and 52 minutes on the Iditarod Trail. It was his second finish of the thousand-mile trek, one of each on the Southern and Northern Routes. He let me give him a hug but refused to let me help him lift his heavy sled onto the platform, reasoning that he couldn't accept help until he "finished." He leaned against the wooden pillar and smiled. "Tired," he answered. "Pretty much just tired." I didn't have the long perspective of the walk, and couldn't help but feel overwhelmed by the enormity of it all. "I'm so proud of you," I said, and hugged him again. "I'm glad to be done," Beat said. But as he spoke I noticed him glancing west, as though looking for the trail's non-existent continuation. We all are glad that he is done. Well done, Beat! Well done! You guys are both amazing. I am so fascinated by everything about this event. I hope to read more about it. I'd also love to hear about the gear used. You are both an inspiration. Totally agree with Jerry and Scott above! Is Beat thinking of marketing that sled he designed and built? Congratulations to both you and Beat! Your accounts/writings are an inspiration to me in my quest to ride Paris-Brest-Paris in 2015. Simply awesome. Well done Beat. P.S. Jill, I hope you will "ghost write" Beat's journey or if he's up to it, a guest post from him.